On Saturday, April 27, 2019, 44th & 3rd Bookseller will be participating in the 5th Annual Independent Bookstore Day. We are so excited to be invited to participate for our second year, and we want to celebrate with YOU! There will be all kinds of unique companion items being sold, alongside our diverse selection of literature. We are so excited to host this event at our store, and we hope to see you there! 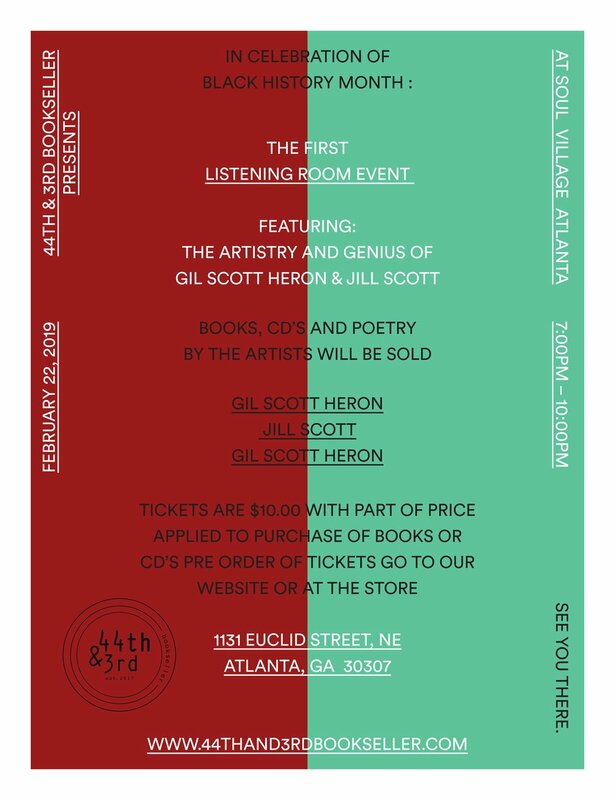 On Friday, February 22, 44th & 3rd Bookseller will be hosting their first ever Listening Room featuring the sultry sounds of Jill Scott and Gil Scott-Heron to commemorate Black History Month. Along with listening to amazing music, attendees will be able to purchase books and CDs by the artists. Tickets are only $10, with part of that price being credited to your book or CD purchase. This will be an amazing event to celebrate and support both black artists and black business. 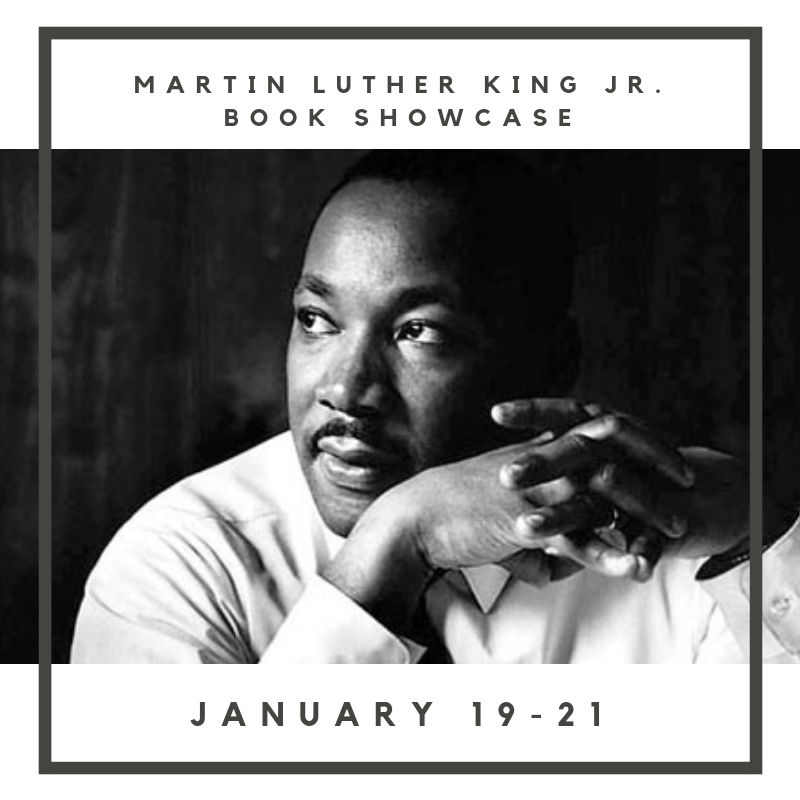 From January 11th to January 21st, books by and about Dr. King will be displayed and available for purchase. We look forward to seeing you all there and celebrating the life and legacy of one of our greatest heroes. On Saturday, November 24th, 44th & 3rd Bookseller will be taking part in Small Business Saturday. It is an all day event that brings awareness to small business throughout the country. If you are in the metro-Atlanta area, stop by the store and show your support!